Hetepu (Peace) Family. The other day I was talking to my former supervisor who is very religious and she was just telling me all about the Holy Spirit. I thought it was interesting for one because even though she knows I don’t believe everything she believes. She still identified me according to the way I live my life as being “Born Again,” which is why I titled this post this way. But, all while she was talking I was just wondering if she even knew where this came from. Then I got to thinking about how churches are so different now. Let me explain real quick. Remember the music of the Motown era, Staxx and so on? 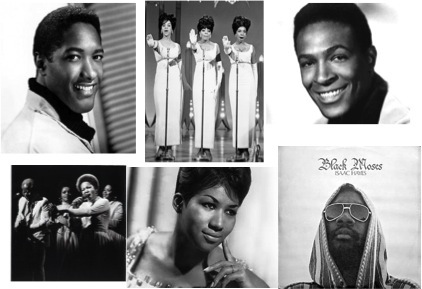 Remember when those singers like Sam Cooke, Marvin Gaye, The Supremes, Aretha Franklin, the Staple Singers, Isaac Hayes (sorry to all music purist, I know I am jumping around…I WAS NOT born during that era, please forgive me 🙂 ) and all of them talked about their beginning or how they developed their musical talents? Do you remember what they all would say? That’s right the Church. They all gave the same answer, that they honed their singing, musical, and oratory skills in the Church. Now, if we skip to contemporary times people will not say the same thing. The response is somewhat so-so but you will hear most comment on how they came from the “secular” world and brought their talent to the Church. Interesting isn’t it? I mean when did the Church start getting its inspiration from the Streets? It was when they loss their Anointing or the Spirit of God, and once they loss this connection, the ability to be Spirit-led wasn’t far behind. You see, the whole Spirit-led phenomenon that most Churches talk about today was supposed to be due to following the Holy Ghost or Holy Spirit. The evidence that one is filled with the Holy Ghost is by speaking-in-tongues based upon the Day of Pentecost. If you ask most churchgoers where this movement began, they will tell you that it all started at the Azusa Street Revival, which was started by William J. Seymour. What they don’t tell you is that Seymour was a student of Charles Parham and when he came upon the revival he denied it and denounced the movement as being taken over by hypnotists, spiritualists and fortunetellers. (see A Catechism of Christian Doctrine…No. 3, Supplemented by Rev. Thomas L. Kinkead. Bezinger Brother, 1921 pg. 261-262). In fact, Parham’s racial views about African Americans and Mexican Americans involvement in the Pentecostal Movement is what led to the development of separate Pentecostal organizations in the United States. Obviously, the reason most Black scholars and theologians, as well as non-Black theologians refuse to say anything about this is because they don’t want anyone to know about their African shamanistic roots and spiritualistic origins. But, the failure to acknowledge and address the African element is the reason so many people in the church are experiencing such a disconnect from the Spirit of God. 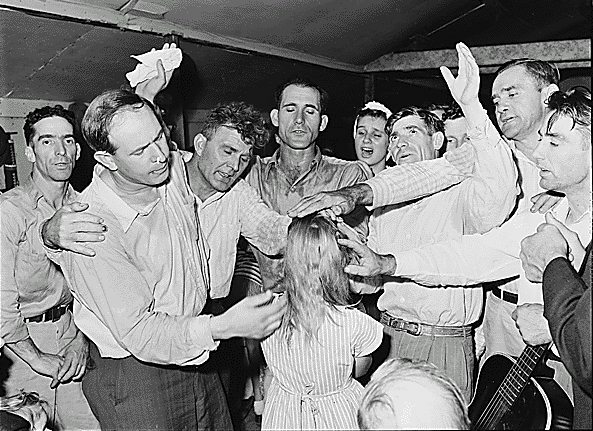 It is all because the practice of speaking-in-tongues as evidence that one has the gift of the Holy Ghost is a form of spirit possession, particularly African trance possession. 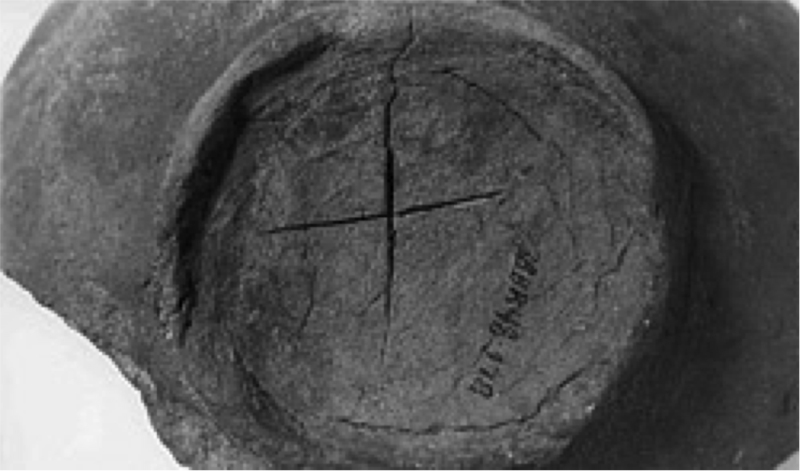 This practiced survived in the Untied States because Spiritualism encouraged it by proving that there is life after death and how one could speak to spirits, thus verifying Native American and African beliefs in the otherworld. 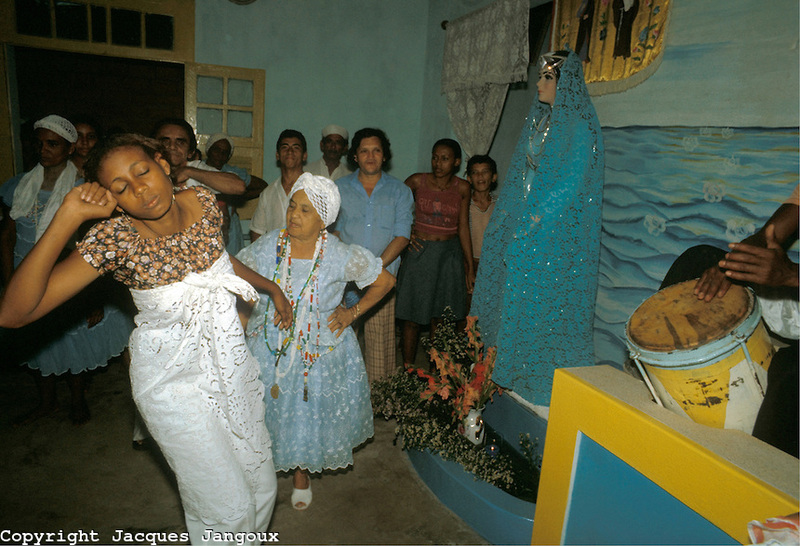 If it had not been for Spiritualism – particularly Kardec Spiritualism – most of the indigenous practices of Native Americans and Africans throughout the Americas (Caribbean and Latin America) would have become extinct. So, the practice of speaking in tongues or possession survived, along with other African practices such as prophesizing and shouting, which are all Spirit-led because of Spiritualism. What does this have to do with losing connection to the Spirit of God, you ask? It means that the original beliefs and practices go beyond the Azusa Street Revival. The actual theology comes from Africa. 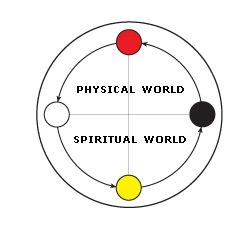 Being led by the Spirit, as any African Traditional and African Diaspora practitioner will tell you is great, but you have to verify what the Spirit is saying is true, and this is why the loss has occurred. There is no verification process, which means any spirit can come in and tell a person to do something. The older people in the church had ways of discerning if what the spirit was telling them was true or not (called divination), but for reasons “unknown”. Their ways were regarded as being superstitious and backwards practices from Africa, which is the reason it was not taught. As is the case all throughout the world, when two cultures encounters each other, the dominant culture takes from the other elements, which it sees as being beneficial and profitable to its own, while discarding the rest. So, now when you turn on the radio or watch TV you see all sorts of preachers talking about the Holy Ghost and being led by the Holy Spirit. You will hear all sorts of singers talking about how great the Holy Spirit is and how it is the most beautiful thing in the world. All while these peoples’ lives are in shambles, they have poor nutrition, they have low self-esteem, poor relationships, and impoverished communities but yet the Holy Spirit is wonderful. Clearly, something is missing and that something is the African element, which the “powers that be” deemed as being superstitious and backwards. It is because most churches do not have this element, which is the basis of the Azusa Street Revival. The reason so many people in the church have simply sold out. With no anointing or no-Spirit you got to find ways to entertain the masses. While it seems a little barbaric to create great coliseums and see gladiators physically kill each other. 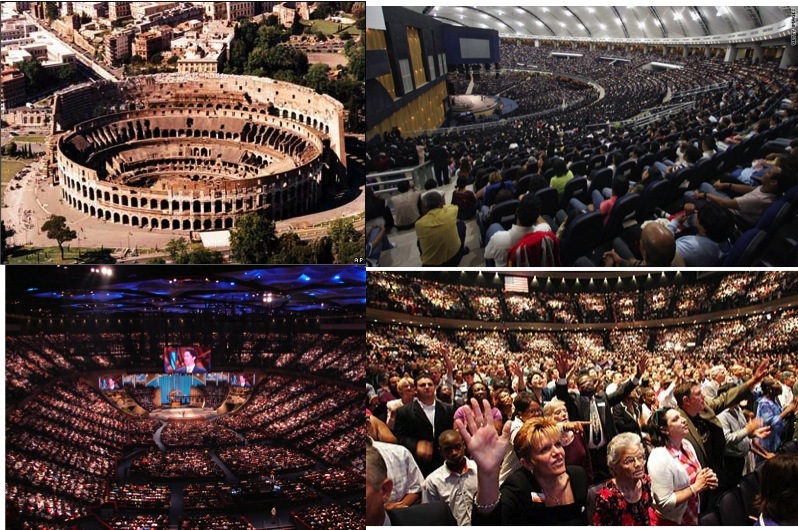 If you look at most mega churches, they do resemble coliseums and they get on stage and allow their egos to have a slugfest instead. I am not here to judge anyone but really. If all of these people really had the Spirit of God within them some of the issues that exist in our society would cease, so why haven’t they? Clearly, something is wrong. Please understand my post is not to ridicule the church. I have become a very objective individual, so I can and will listen to anyone because Absolute Truth is Absolute Truth regardless of whose mouth it comes out of. I enjoy listening to some preachers when it is the Spirit sermonizing and not the speaker’s ego. The purpose of this post is get you to understand that the original idea of what it means to be saved and filled with the Holy Ghost. Didn’t come from Azusa Street but from Africans and early African Americans who wanted to be “saved” and delivered from slavery. American Churches watered down the original purpose and in a minute we will see why. 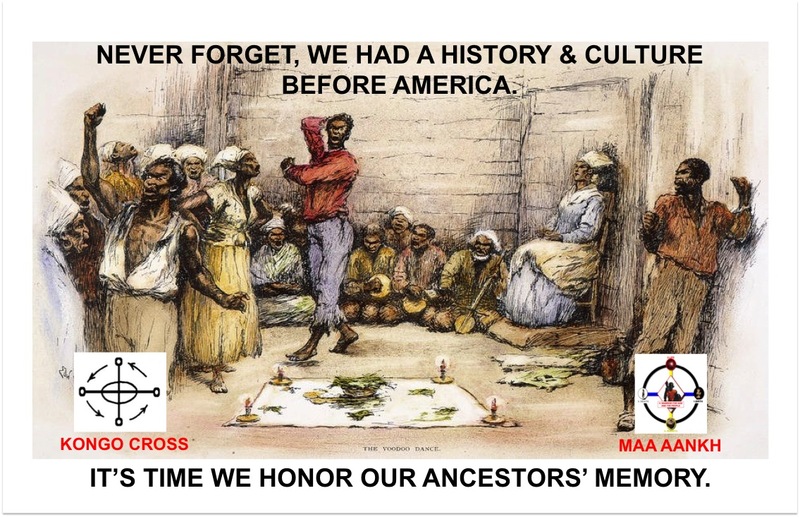 You see, the Africans and early African Americans relying upon remnants from Africa combined with Christianity created the Spirit-led tradition that people are so happy to talk about today. They also created a coded language that allowed them discern if what the Spirit was telling them was true or not, unlike people nowadays who just want to experience the Spirit or feel good and do nothing with it. Therefore, if you want to be truly reborn, you need to understand that it is not about listening to the Spirit. You have to learn to trust the Spirit and follow the Spirit’s guidance. Once you do this, you will realize after you have verified that what the Spirit is telling is true. That the reason you speak-in-tongues is because all of those tongues are the ancestors who reside in the unseen spirit world. But not every dead person is an ancestor. Some of the dead were bad people in life and they continue to be bad people in the afterlife. This is why the elders had to find a way to discern what the Spirit was saying is true. Most of our elders did this through bibliomancy, the art of divining with a book. Although any book can be used, the book most of our elders used was the Christian bible. Are you beginning to see why it was regarded as superstitious? 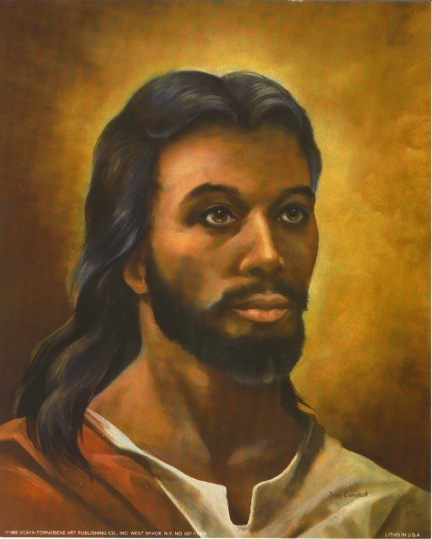 Unfortunately, most of the original theology that the elders relied upon was lost because Jesus from the African and early African American perspective was seen as being a patriarchal ancestor. Fortunately, this early African American concept was not new. 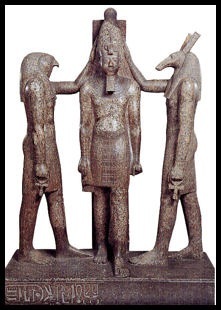 It was practiced in Kamit/Kemet (Ancient Egypt) some 3,000 years ago and the patriarchal ancestor was Osar (Asar, Ausar or Osiris in Greek). This is the whole reason behind the heroic Hru (Hrw, Heru or Horus in Greek) fighting his evil uncle in order to reclaim his ancestor’s crown, the white crown of Kamit called the Hedjet or Crown of Osar. So, how do you know when you have been reborn. You will know when you are truly reborn because your Osar (the patriarch of your lineage) gives you self-pride. When you have pride in yourself, you will live a better life because your Osar will help you not to do it. Your Osar will tell you that certain things are harmful to you. You can “try the Spirit” and it will help you in everyway. It will not cause you to humiliate yourself by altering your looks just to be accepted by the public. Most importantly, the Spirit will get you to stand up and fight in whatever way possible against injustice. It will truly liberate you of your fears because as Jesus said, the Spirit is a Comforter. So the question that remains is why would the “powers that be” take the African element out, besides trying to disassociate itself with spiritualism? Well, remember this historical event? Ok, maybe not. How about these historical events? Do you get the picture? King was transformed by the Holy Spirit, which transcended all sorts of cultural and racial boundaries. 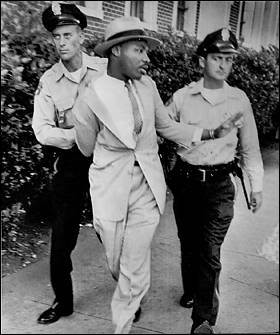 This is why he was able to mobilize people to march on Washington, D.C. Mind you, when I say they marched, they didn’t take buses and drive to D.C. then walked the rest of the way, like these contemporary marches. The people marched from all over the country to D.C. Regardless of what you believe about King, the fact is that he led the most powerful march in the history of the country, which is why his influence is still felt. I believe clearly you can see it wasn’t ego driving these people who marched during the Civil Rights era…it was the Spirit. 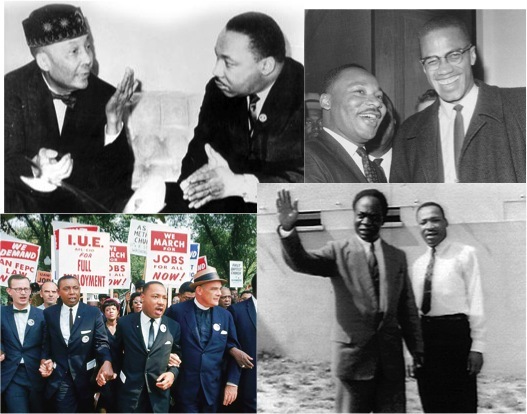 This is the reason the religion has been watered down, because they don’t want any of us, YOU included, to be the next Martin L. King Jr. 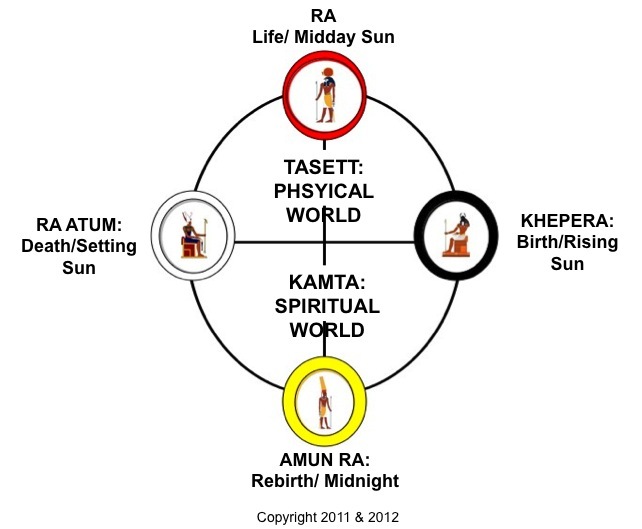 This is why to be reborn the right way means to learn how to connect first to your Osar and this is the true purpose of Kamta. So, with all of these spiritual people in our society, it is time to change the world.